Oslo International Theatre (Oslo Internasjonale Teater / OIT) was a project that ran from 2009 – 2018. The aim was to discover contemporary international plays not seen in Norway previously, translate them into Norwegian, and produce rehearsed readings of these plays on a regular basis. Our performances were open to the public, but we also targeted the theatre industry especially, to promote the plays to Norwegian theatres and theatre companies. We also organized workshops and other events related to new writing, always with a focus on international exchange. 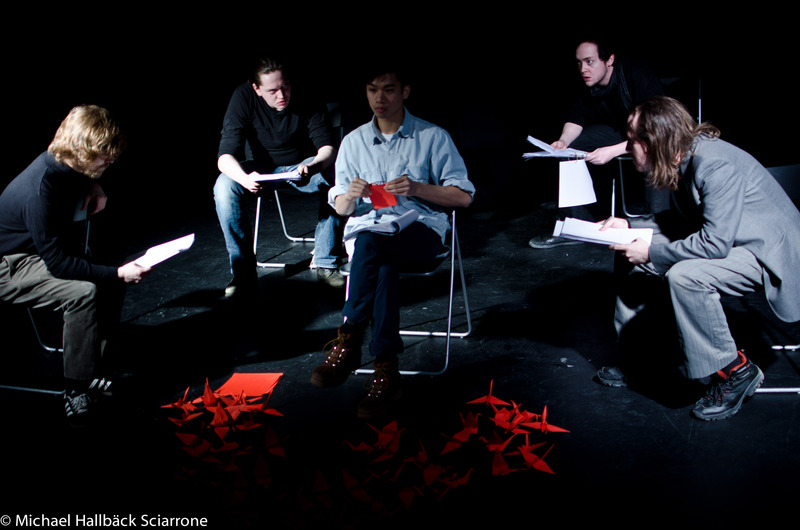 OIT started as a collaboration between Imploding Fictions and Teatersirkus, launched in 2009. In later years it was run by Imploding Fictions alone. OIT was run as an idealistic, non-profit venture. In 2018 Imploding Fictions decided to close down OIT in order to focus on other artistic projects. A huge thanks to everyone who contributed to OIT over the years. Please feel free to contact us with any questions you might have. You can still get in touch with OIT via oslointernasjonaleteater (a) gmail.com or give Oystein (joint artistic director of Imploding Fictions and OIT) a call on (0047) 986 37 123. For more info on Imploding Fictions see http://www.implodingfictions.com. Current and past funders include the EU Culture Programme, Arts Council Norway, Det Norske Teatret, Dramatikkens hus, Stiftelsen Fritt Ord, the City of Oslo, Fund for Performing Artists (FFUK), Pro Helvetia, Nordic Culture Fund, Goethe-Institut Oslo, Nordisk Kulturfond, Dramatikerforbundet, the Dutch Embassy in Norway, the Portugese Embassy in Norway, Bydel Sagene and others.